This card was created to send to a special person who sent me a Rak. 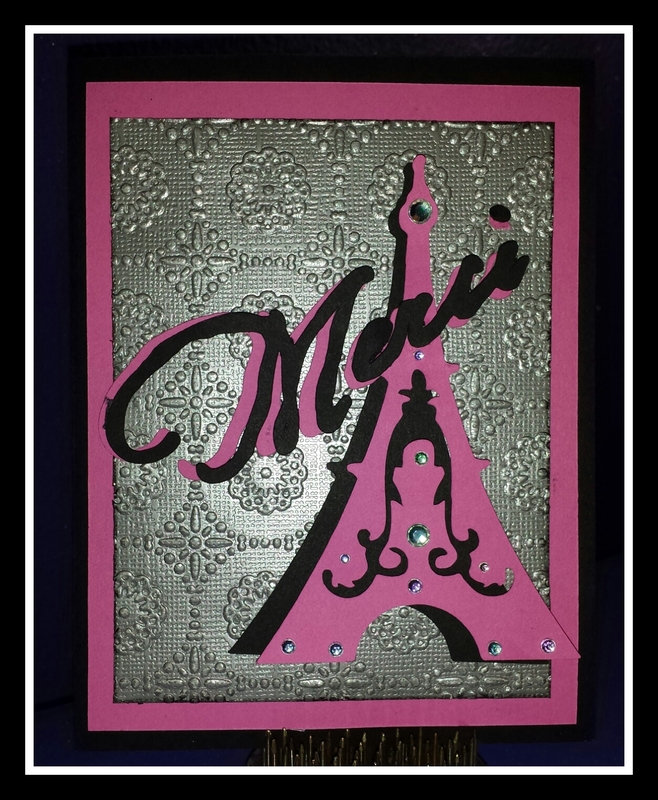 I used French Manor Cricut cartridge for the Eiffel Tower at 4″ I cut out 3 Eiffle Towers black, silver and pink, and the black one I clicked Hide Contour to use as a shadow, I placed that down flat on card base. I cut out 2 of the word Merci also from the cartridge under phrases and is cut out at 1.75″ I cut this out in pink and black. Applied the pink Merci flat on top of black Eiffel Tower. I then added pop up squares to the pink Eiffel Tower and added Pop up squares to the outsides of the black merci and put it over the pink Eiffel Tower. I offset the top layers because they were all cut at same size and not really shadows. Below is a close up, you can see the embossing from the Cuttlebug and the rhinestones. Below is the inside of the card. I put the silver Eiffel Tower and placed the inside of the pink Eiffel Tower inside the silver one for more color. And then placed pink paper on the right side so I can write a message. Other Supplies Used: DCWV Metallic stack card stock and Recollection Cardstock. Pop up squares, Recolecctions rhinestones. This is absolutely fabulous!!! Great job! What a gorgeous card!! Love the embossing!! I was wondering if you could help me with this specific cartridge? I purchased it specifically for the wine glass but when I went to use it, it’s not on the key pad. 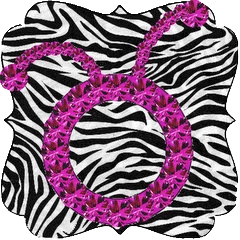 I chatted with cricut and they told me to try the shift key with the table but that didn’t work. Do you have any suggestions?